Mouth guards work by providing a protective surface which dissipates force upon impact, minimizing the severity of trauma to soft and hard tissues in the mouth. Without one, even a minor blow to the mouth by an elbow, shoulder, or a ball can easily loosen or damage teeth, jaws, and soft tissues. For a child, losing a tooth this way can be frustrating and upsetting. It can make it difficult to speak normally, or pronounce certain words, or cause embarrassment when smiling or speaking in front of a group. What’s more, a serious blow to an unprotected mouth can cause lasting damage ,which can impact chewing and speaking in the future. 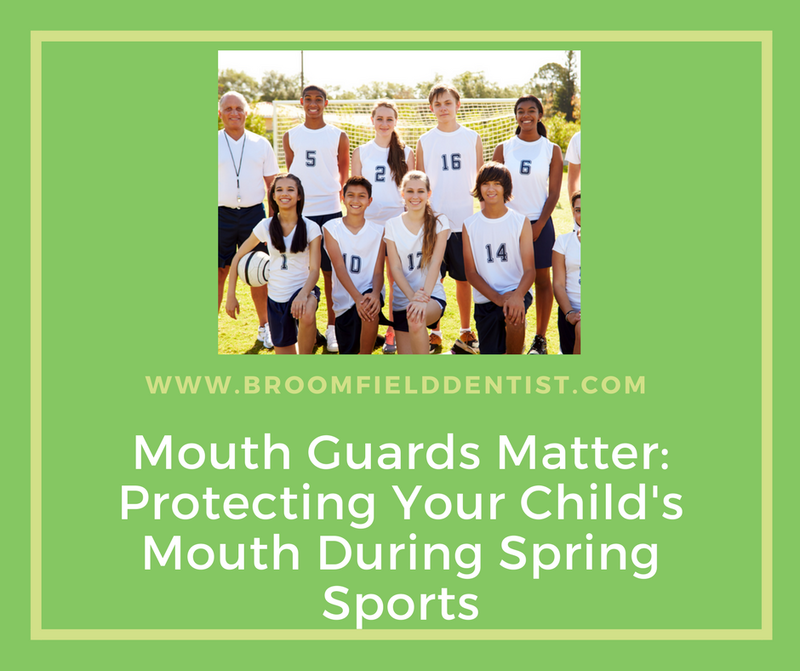 Having a well-fitted, custom-made mouth guard is one of the best ways to ensure that your child’s mouth will be protected during sports. The ADA recommends the use of a mouth guard during any activity were there is a risk of injury. Ensure a healthy smile for life for your child by making sure they have a mouth guard. Whether it’s a custom one or not, it should fit snuggly and stay in during movement. While the cost of a mouthguard can seem like an expensive addition to a sport or activity, the cost to repair broken teeth can be much worse! To learn more, visit https://broomfielddentist.com/. Dr. Peebles-Turner serves patients in Broomfield, Colorado.